I’ll be honest, I never intended to write so much about parallels and cards I argue are actually parallels — even if the term doesn’t apply literally. After rereading the first four posts on this subject, I realize that I may have inadvertently smothered my primary point about all this: there is a ridiculous amount of duplication of essentially the same card. 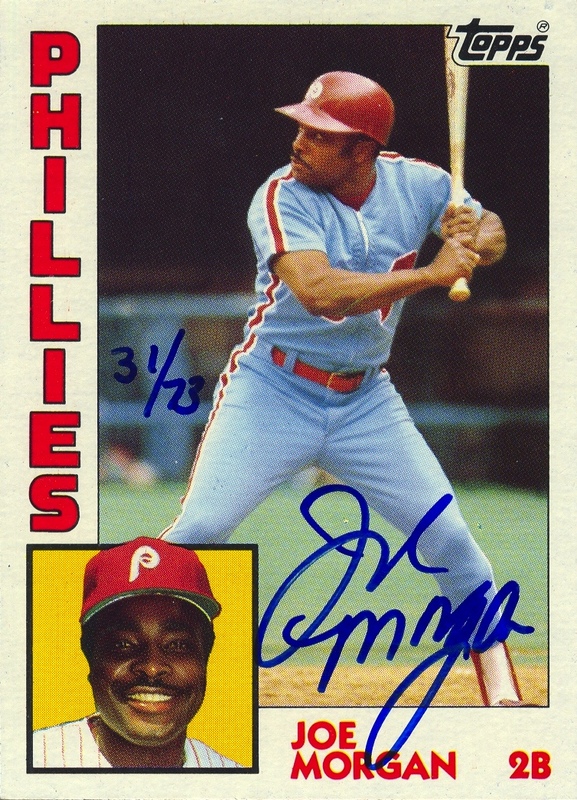 Forget about parallels in the literal sense of the term; if you collect a complete Phillies team set of Topps, Topps Chrome, and Topps Opening Day, you will end up with a large number of cards that are essentially duplicates. To me, this feels like a lot of wasted space in the collection. However, purchasing a complete team set is sometimes both the easiest way to discover the variations — the cards I am interested in — and the cheapest way to procure them. Sadly, the parallel mess doesn’t even end with the aforementioned sets, thanks to the fact that for some time now Topps actually produces team sets. The team sets are very similar, in spirit, to the regional issues Topps produced for Burger King from 1978-1980, only they don’t require you take a massive hit on your health to try to complete them. Like Topps Chrome, the cards are mostly the same as those in the regular Topps set, just renumbered. 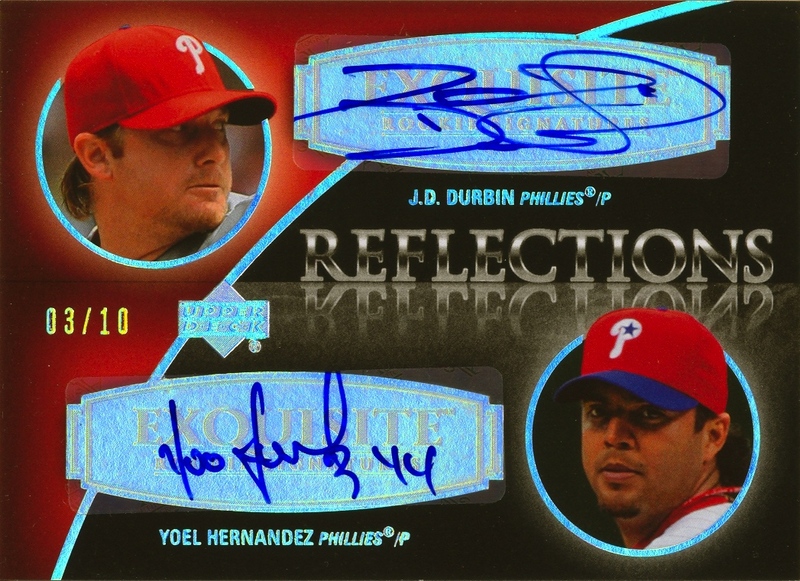 However, in each blister-packed Phillies team sets Topps has produced thus far (they’ve made one each year since 2006), there are at least a couple different photos in the set. Yes, buying the set means getting a few new cards, but only at the expense of expanding on the number of “duplicates” in your collection. On the other hand, I shouldn’t complain too much. 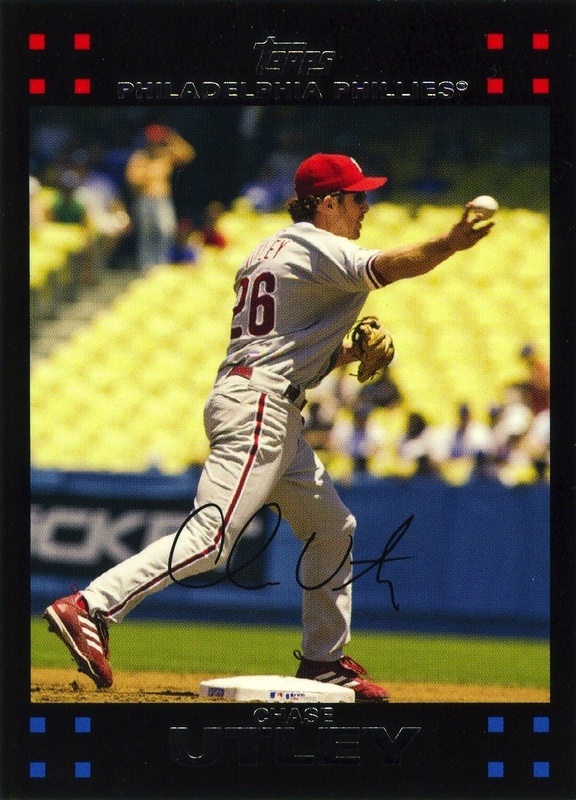 In 2005, in conjunction with Pepcid AC, Topps produced a 21-card Phillies team set used a stadium giveaway on Alumni Night. Except for the number on the back, all the cards in the set were exactly the same as their versions in the Topps Total set that year. 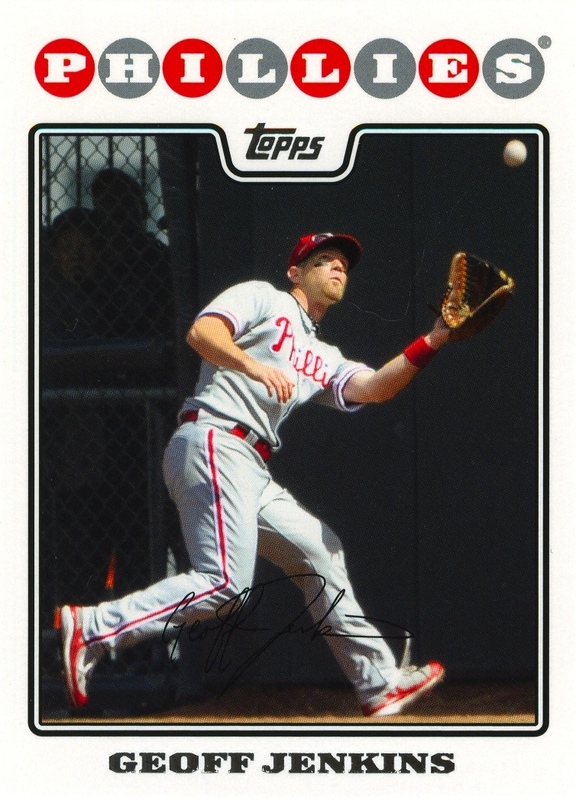 When I purchased one off of eBay, I felt like that I had just unnecessarily wasted cash on it (I know, it was given away as a freebie for fans attending a game, but Topps still should have kept in mind the concerns of collectors such as myself). Along those same lines, this year Topps created blister-packed American League All-Star and National League All-Star sets. 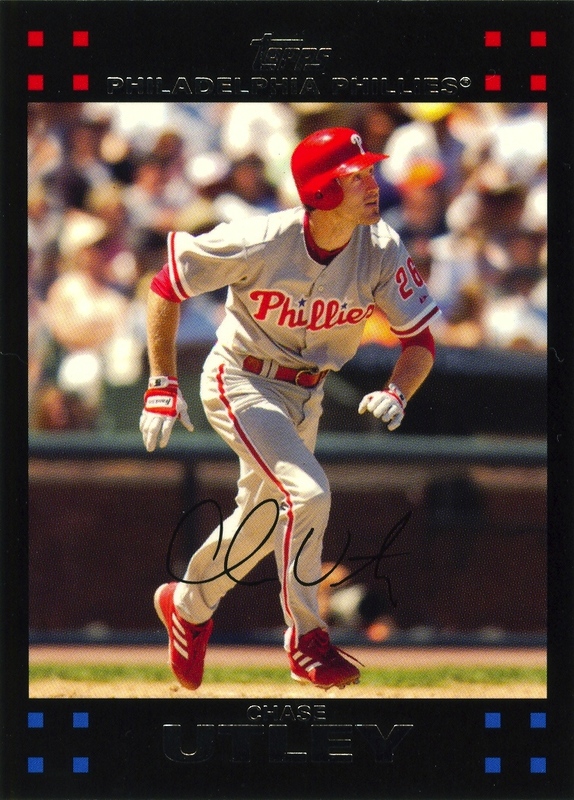 Chase Utley, Cliff Lee and Roy Halladay are all in the set, and other than the card number and National League logo stamped in foil on the front, all their cards are essentially the same as their card in the regular Topps set or the Topps Phillies Team set. 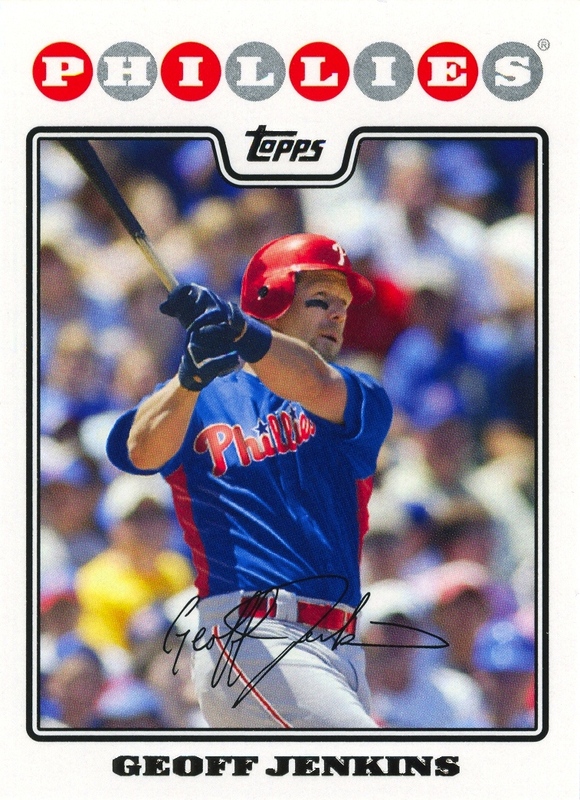 By the way, with just one card Topps nearly made amends for the 2005 Pepcid AC Alumni Night disaster with the stadium giveaway set they produced for the Phillies the following year. Distributed on Fan Appreciation Day, the overwhelming majority of the cards were just reprints of what Topps already used. 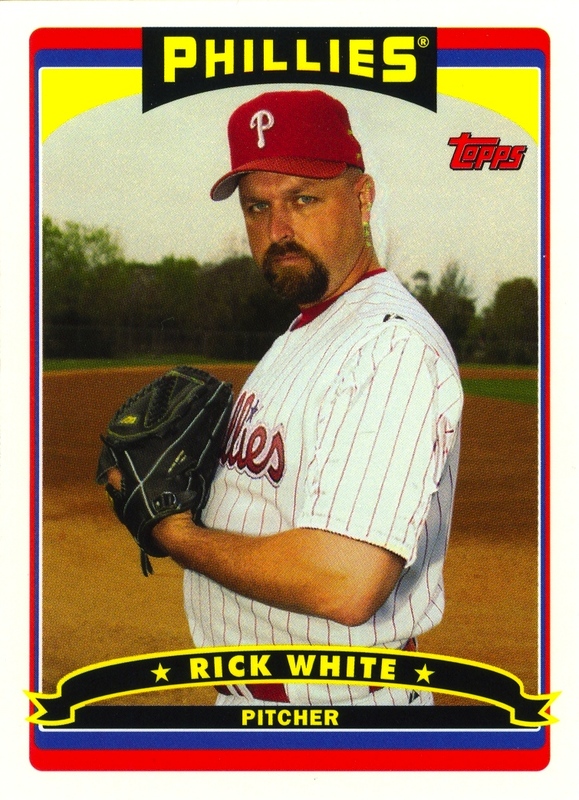 However, there was on gem in the set: the Rick White card. 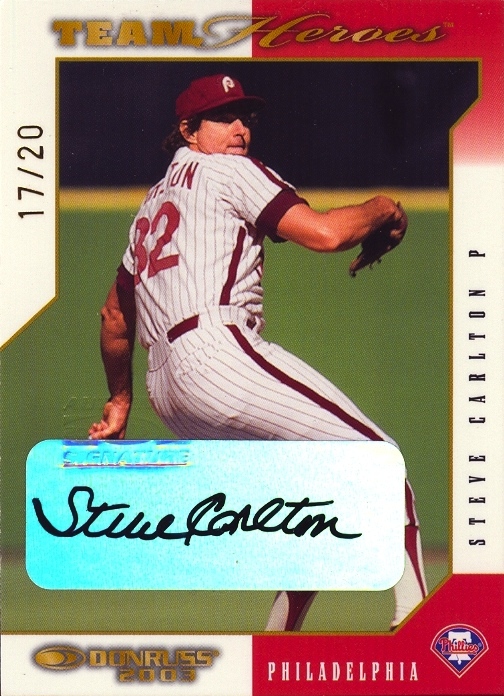 He didn’t appear in the Topps Traded set later that year, and he never appeared on any other card as Phillie — not even in a team-issued set. 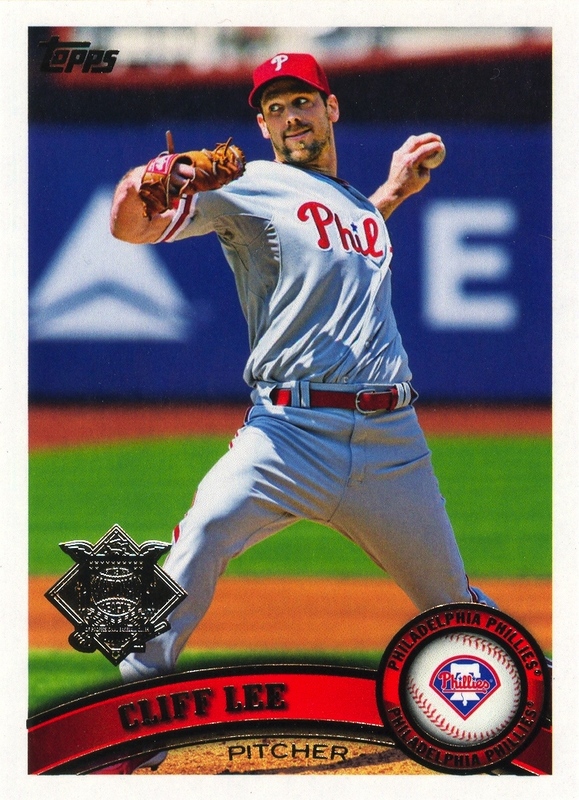 You still had to put up with nearly two-dozen duplicates, but getting this set meant having at least one Rick White Phillies card in all his glaring, ultra-huge goatee glory. 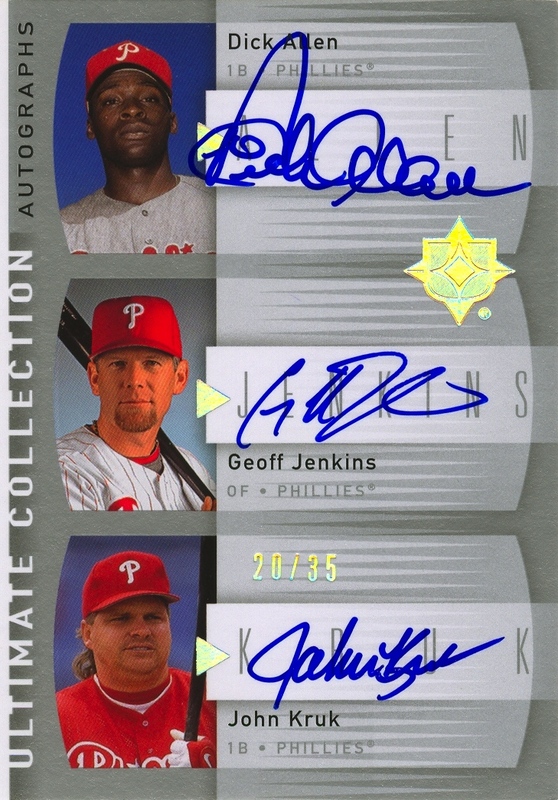 Although I didn’t care for the actual execution (in particular, the use of the color yellow), I also liked that Topps actually changed the color-scheme on the card, thus making the entire set easy to differentiate from the cards in the regular Topps set and the Topps Phillies Team set. In just about all of these examples, what I really wish Topps would do is change the photos on the cards more. Hell, I know and accept that Topps will actually reuse a photo ad nauseum across different sets — they have a long and storied decades-old tradition of doing so that continues to this day — and I’m actually somewhat okay with that, so long as the photos are reused under different designs and recropped. 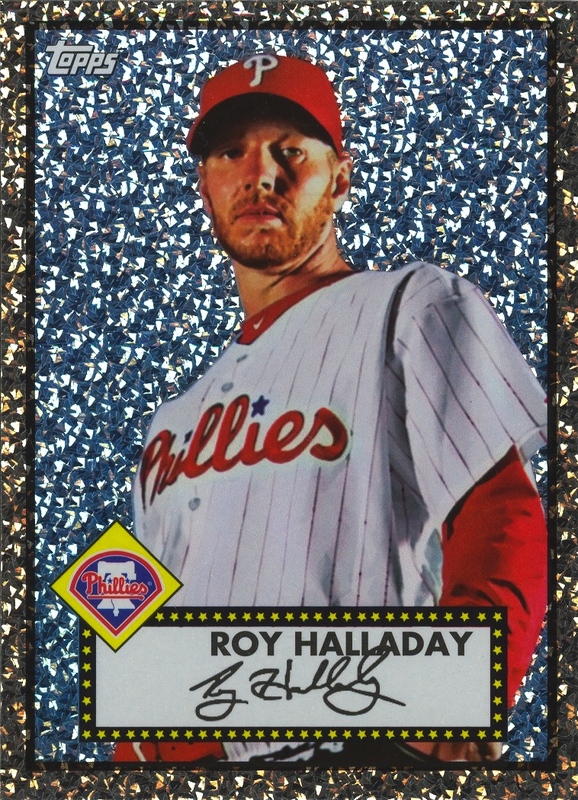 Note, for example, the way they reused the same Roy Halladay photo in their 2011 Topps Black Diamond Redemption and 2011 Topps Gypsy Queen Autograph cards of him (although, his pitching arm did seem to mysteriously vanish in the Black Diamond photo). I just wish that Topps would mix up the photos a little more when reusing the same design for the third, fourth or fifth time. I don’t mind reusing the same design repeatedly — hell, I love the fact that the Phillies team issues from 1989 through 1994 all reuse the same design. Don’t get me wrong, I prefer and want variation in design. However, I find it interesting to see players from different squads and even different eras all sharing a common card design, and I especially like seeing multiple photos of one player using the same design. 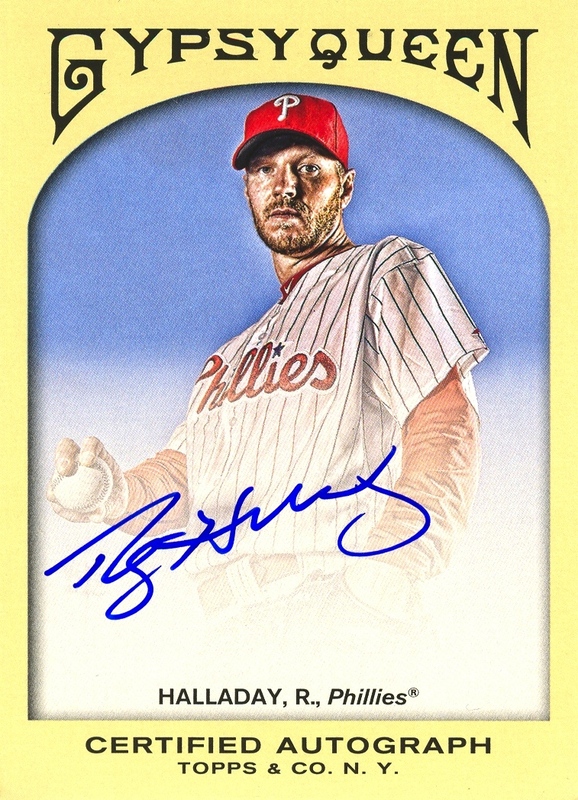 I think it’s part of why I like the Heritage brand — as well as the now-defunct Fan Favorites and Bowman Heritage brands — so much, and why I was so disappointed in the debut of the Lineage brand. While I dislike having to waste my precious resources on finding out about the variations across the parallels that Topps creates, there is a small upside to all this. Because of the small differences between the various sets, you can actually create much larger team sets that range across the various Topps offerings. In other words, combine the unique cards from each set and create a “Master Set,” if you will. I’ll start on this concept with my next series of posts.